All beach parks and numerous roads throughout Maui County are closed due to today’s severe winter storm. County departments have received multiple calls for downed trees, power lines and road closures affected by heavy sustained winds and powerful wind gusts. The public should continue to expect closures and damages Sunday night and into Monday morning. Residents and visitors are reminded to stay indoors and postpone any outside plans. Maui police officers are manning main intersections that have non-functioning traffic signals. Drivers are reminded to treat these intersections like a four-way stop and to obey any emergency personnel. The Maui Fire Department responded to small brush fires in Haʻikū and near Waiehu Kou subdivision. Firefighters also freed a woman stuck in an elevator due to power lost in South Maui. 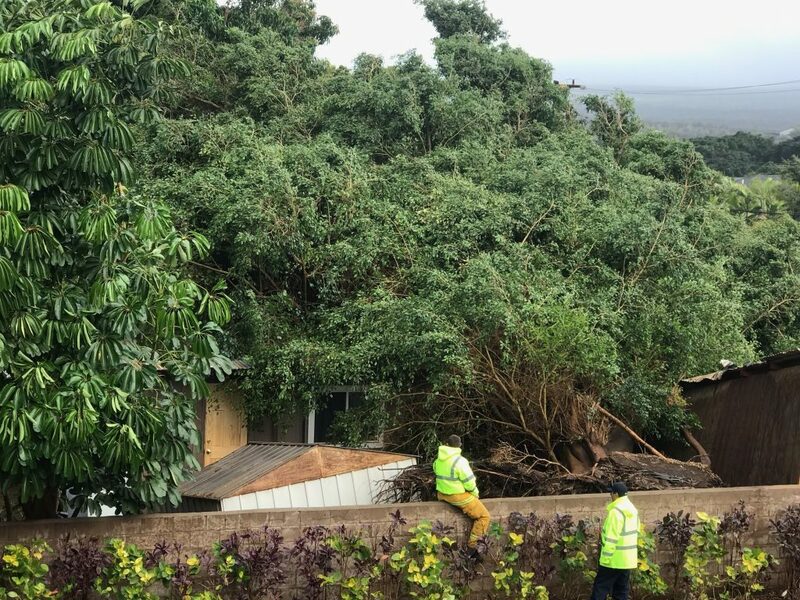 Firefighters responded to a large tree that fell on a house in Halenani Place in Kīhei, which caused major damage. Power lines downed in Hāliʻimaile also temporarily blocked roads. 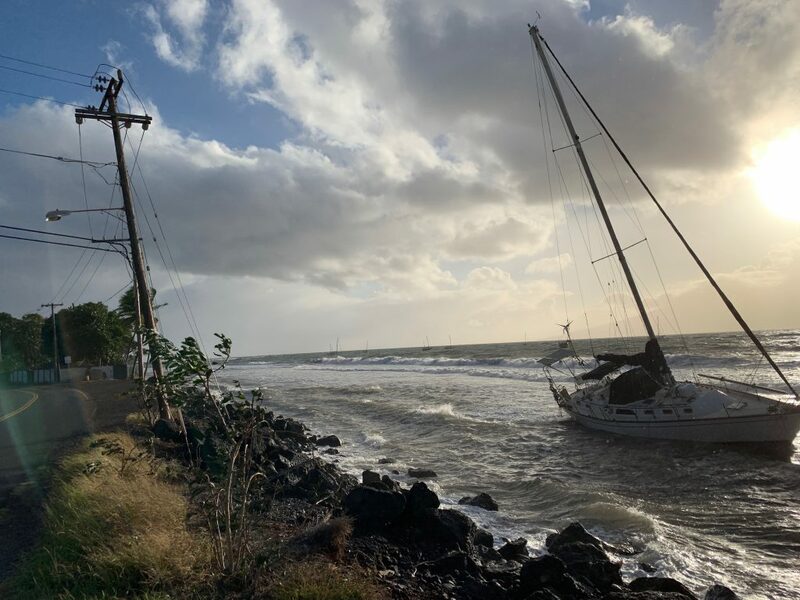 Multiple boats broke free and were in distress off Māʻalea as well as West and South Maui. 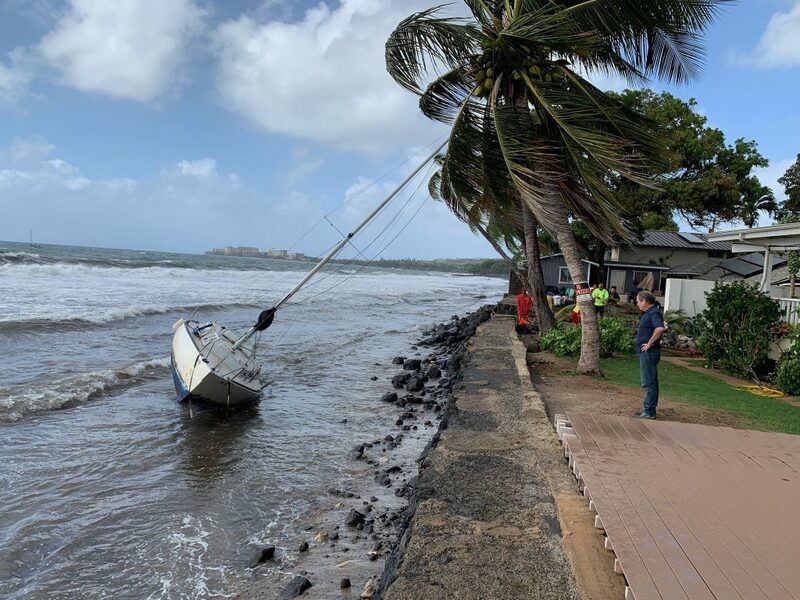 Firefighters worked with state Department of Land and Natural Resources in response to boats that broke off its mooring and ran aground off Kamaʻole Beach Park I and Front Street at Fleming Road. Kīhei, Haʻikū and Makawao Residential Recycling Centers are closed due to high winds. Department of Environmental Management staff plan to evaluate the centers and weather Monday morning for opening. Waiehu Golf Course and all beach parks are closed until further notice. Department of Parks and Recreation staff will make assessments Monday morning for cleanup and opening. The Department of Water Supply is advising all customers to conserve water until Monday. At this time, water storage tank levels are dropping and the department is unable to run pumps to fill them. Once power is restored, water levels should return to normal levels. Hawaiʻi Department of Education officials said all public schools plan to open normally Monday, but continue to monitor weather conditions. 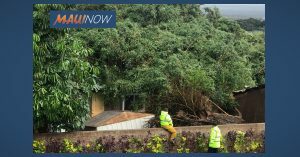 Maui Bus is running its regular schedule, but riders may experience delays due to the storm. The public can download the Maui Bus app for the latest information and bus tracking. Haleakalā National Park is closed due to severe weather and the public is advised to not drive toward the summit. The American Red Cross is on alert and working with the Maui Emergency Management Agency to respond to any concerns.